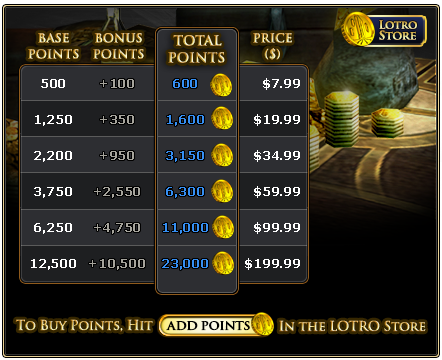 Home › Buy LOTRO Store Points! The Point Bundles advertised on this page apply only to point purchases made in the LOTRO Store and reflect what is currently available for purchase in the LOTRO Store. These standard Point Bundles and pricing are subject to change.